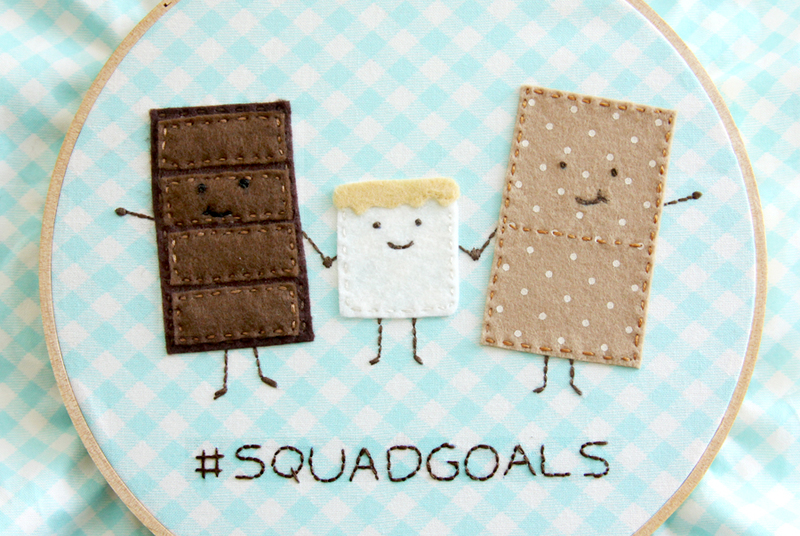 I adore s’mores – they are just everything that is summer all rolled into something gooey and yummy and messy. But we don’t make them very often so I just had to create something I can leave up year round! 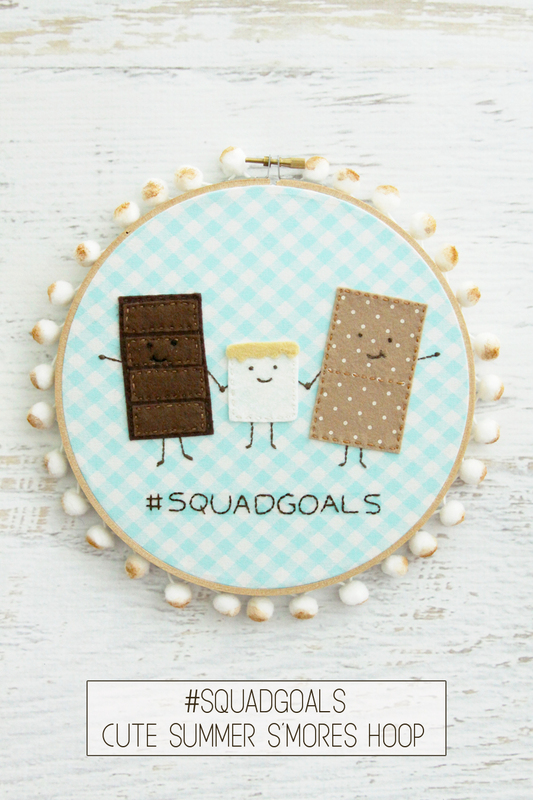 For me that means a hoop art projet and I had a blast stitching up this cute summer s’mores hoop! If you make one and share it on social media, make sure you tag me and include #flamingotoes so we can all see it! 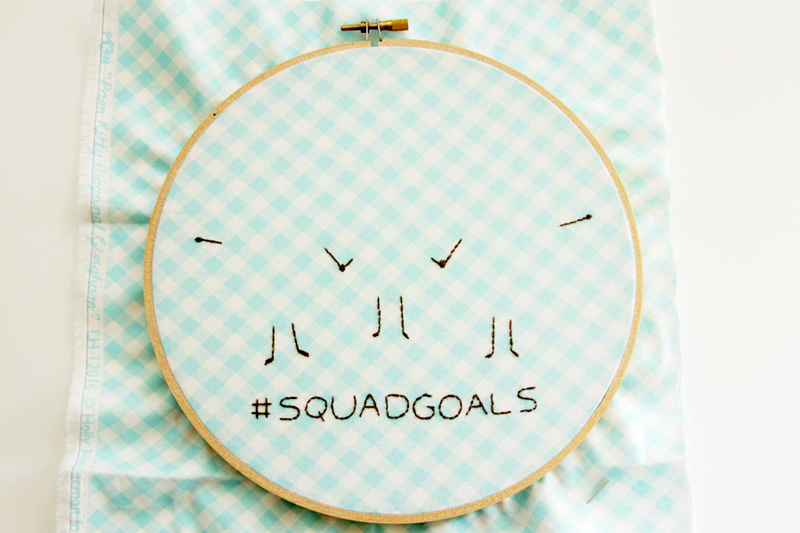 Also – if you haven’t joined the Flamingo Toes Stitch and Share Facebook group, we’d love to have you join in the fun! 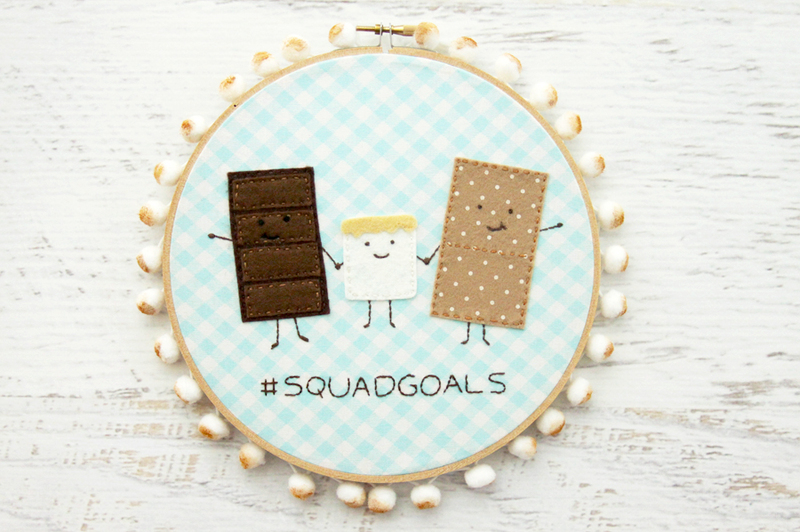 We share all sorts of cute projects, support and encourage each other, and I share sneak peeks and coupon codes too! Absolutely ADORABLE! ! Makes me wish I could do embroidery! Great job! Absolutely adorable. I plan on making this. In fact my little chihuahua is named smores. This is adorable! I love the detail on the pom border especially. I honestly cannot take the cuteness! This is absolutely adorable. THANK YOU for this pattern! 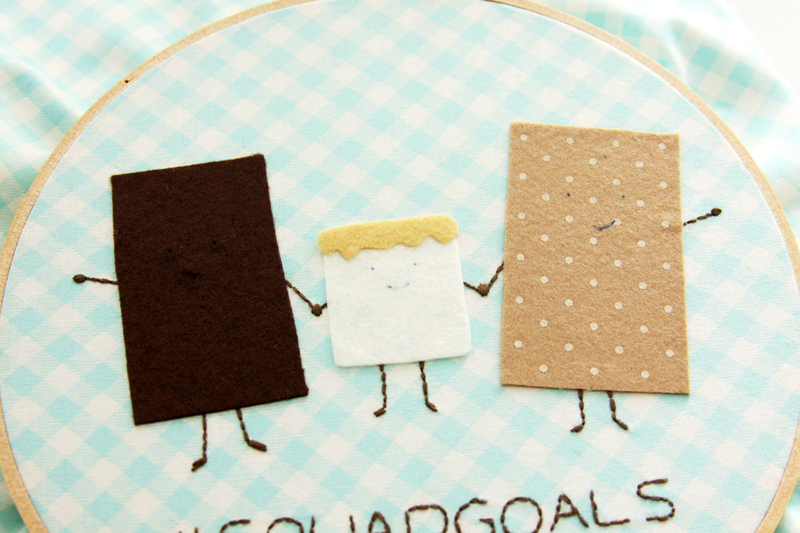 It is the cutest thing ever – have already ordered the polka dot felt. Everyone is saying is absolutely adorable, and that was exactly the words I was going to use. So even though it has been said x10…ABSOLUTELY ADORABLE! 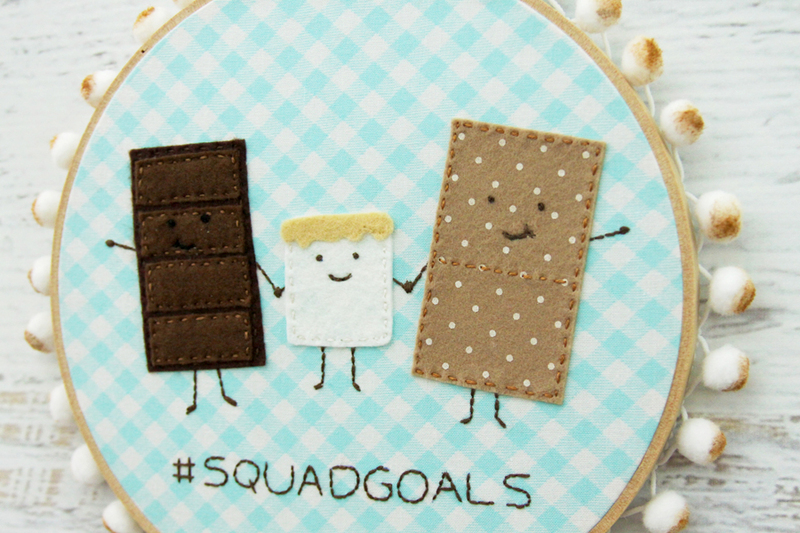 I love S’Mores, this is such a cute, nostalgic DIY. Pinning for sure! This is so adorable! 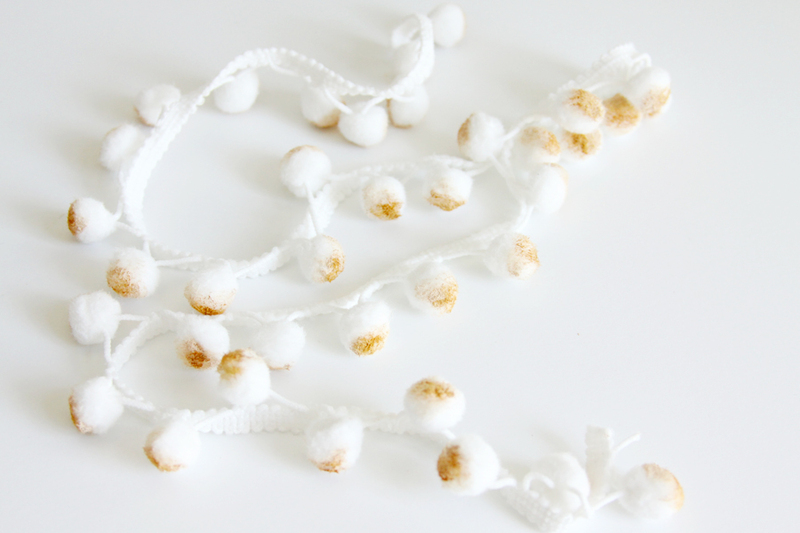 I love the “toasted” pompom edging! Thanks for sharing at the Summer Time Fun Link Party! That is so adorable! 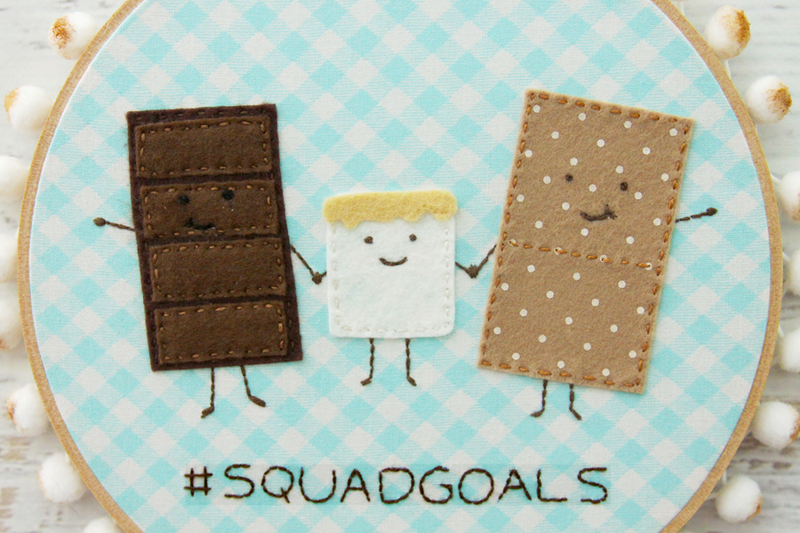 I love the added touch of the toasted marshmallows around the edges. Thanks so much for sharing with us at the Summer Time Fun Linky. Pinned. 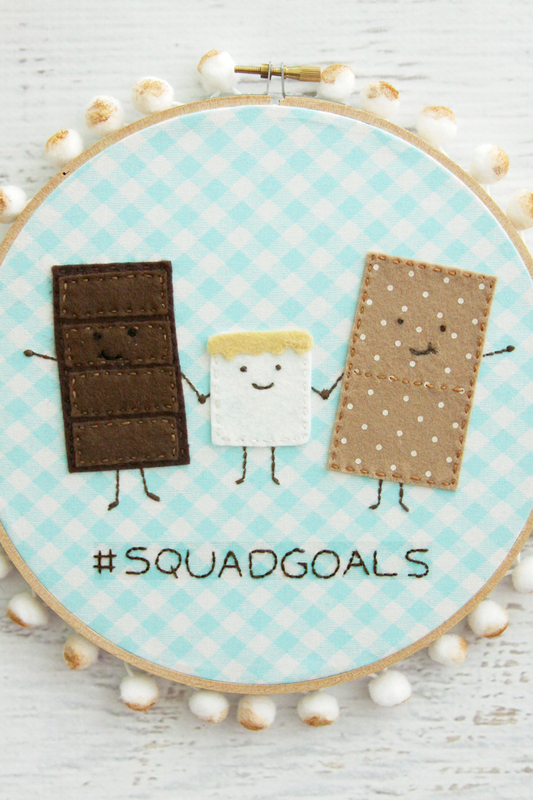 I absolutely love this and am featuring it tomorrow morning in a blog post for the Summer Time Fun Link Party Features. Thank you for joining in the fun of the link party!